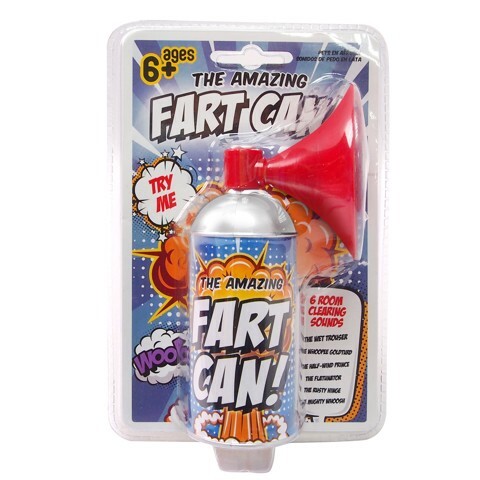 Fart Sounds In A Can. 14cm (H) | 4.5cm (Dia). . Metal | Plastic. 104G Packaging: Double Blister with Insert Card.